Many people, including myself, begin their year with the three words – Happy New Year. That phrase is a wonderful greeting and a terrific wish for ourselves and others – but it won’t sustain us through the year. 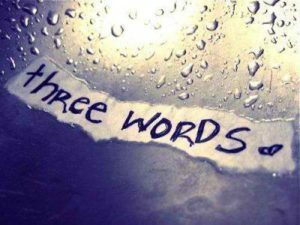 Another set of three words often used is – New Year’s resolutions or “My resolutions are…”. Resolutions are well-intentioned, yet ineffective. It’s been shown that over 80% of New Year’s resolutions are abandoned within the first five weeks of the year. Good wishes and intentions at the beginning of a year are great – but they don’t yield the results that most of us want to have accomplished by the end of the year. This will lead some to be discouraged – don’t be. There’s a different way to approach the New Year which has been proven to be productive. 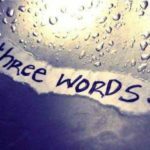 Not long ago, I learned of an approach called “My Three Words”. This concept was developed by Chris Brogan – CEO of Owner Media, author, speaker, business adviser and simply a nice guy. Chris has been using his “My 3 Words” approach for over a decade with a great deal of success. The concept is simple – replace resolutions with three words that, through the year, will guide your choices, challenge your motives and influence your decisions. Choose words which have meaning and depth – words which stand on their own yet work together to create a triangulation to guide you through your year. I’ve chosen words which will apply to my personal choices and decisions yet are equally relevant to the work I do with my clients, colleagues, friends and family. Ignite – Ignite is my first word – its definition is simple – “to set on fire; kindle; begin to burn”. I want my thoughts and actions to be ones which ‘start fires’ in pursuit of my goals and interests. The same holds true for my work with clients – for all whom I encounter. My purpose is to help each of them ignite thoughts which lead them to the success they desire. Engage – Thoughts without action are as useless as most resolutions. One definition for engage is to become involved, to make an obligation. I need to become engaged in thought, action and commitment. Professionally, my greatest purpose is guiding my clients – getting them engaged – in generating effective action and commitment. Engage refers to tasks, actions and goals. It also refers to connecting on a personal basis. It’s that emotional bond which creates trust and adds value. Enhance – I want every one of my actions to enhance my life in some way – intellectually, emotionally, physically, spiritually. Importantly, I want to add value to each person I encounter. It is my hope that my actions and my work have a ripple effect – to enhance the lives of people beyond those I meet and work with directly. Those are my three words going into 2017. I will read them, write them and consider them several times each day throughout the year. I know that I will have a truly successful year if I ignite powerful ideas and actions – if I get myself and others to effectively engage – and always consider how to enhance my little part of the world.